I love the silks — two long pieces of cloth hanging from the ceiling of the gym or stage. You climb them, then do tricks in the air. It’s not easy. This is an arabesque — I’m not very far off the floor here, because this was an unpadded stage where we did a show and they wouldn’t let us climb very high. 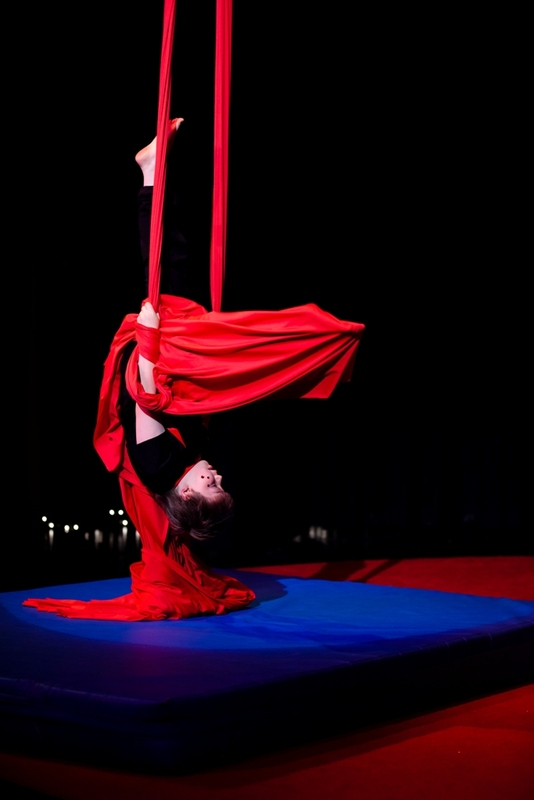 It takes a lot of practice before Fanny Kerwich will let you perform on the silks. 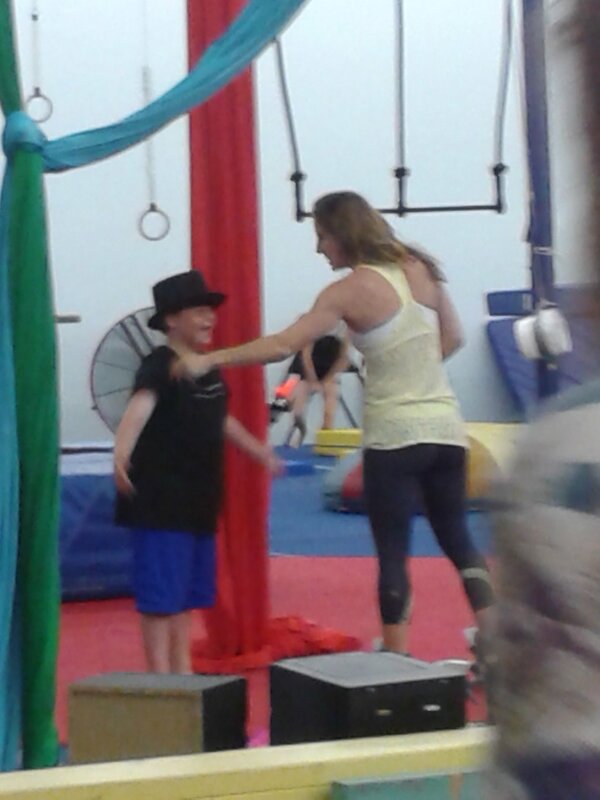 These are some photos of me at the Palestra, a gym in Addison, Texas, where the Lone Star Circus School teaches classes. 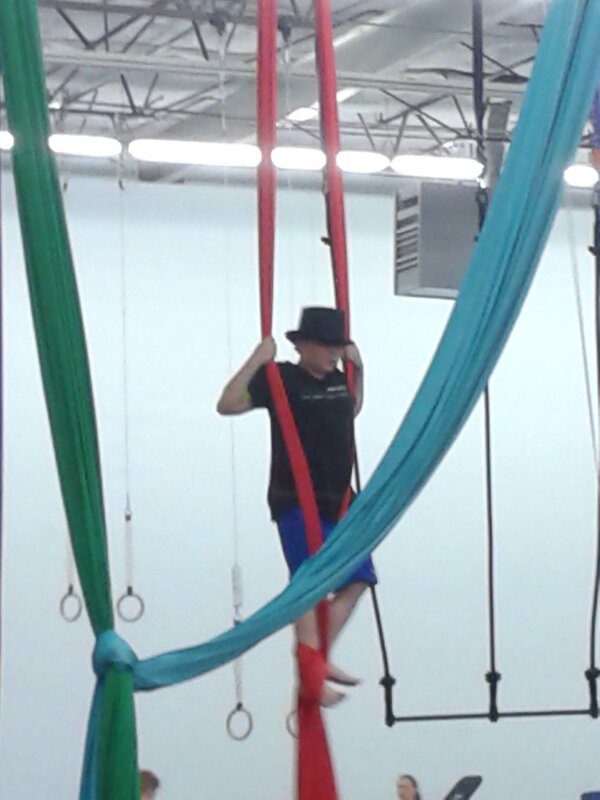 This is me about 12 feet in the air, standing in the silks. This is where my “aerial juggling” act starts. Miss Fanny is very particular about how we hold our bodies. She says that if we train our muscles now, they’ll remember later when we need them to. 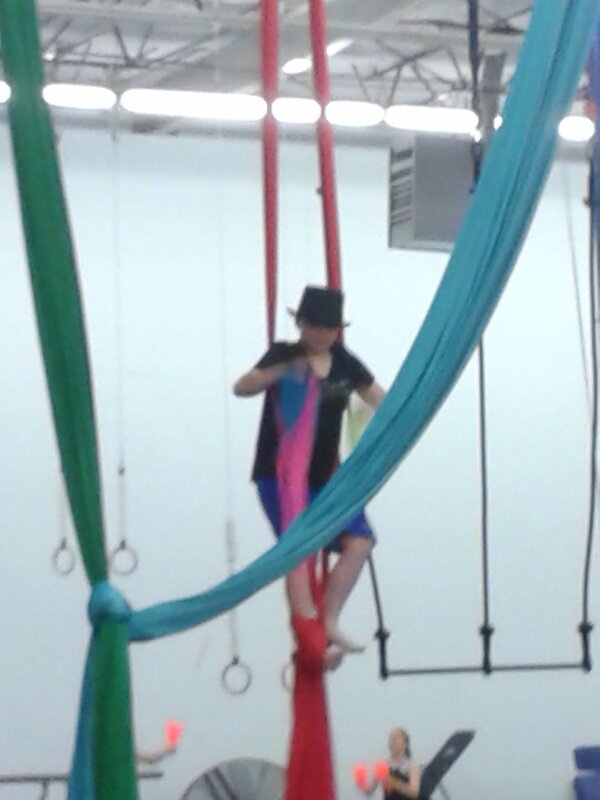 When I’m on the silks, I juggle silks. They fall slower than balls or rings, so it’s easier and safer when you’re standing on a thin panel of silk wrapped around your feet.